Visitors took selfies, hugged and fed treats to newfound furry friends rescued from loveless homes, some missing a leg or even a snout. Each date included a decorated table for two and cost just $6 to help fund a shelter run by the aptly named PAWS, or Philippine Animal Welfare Society. “I don’t have a date for Valentine’s so I went here for one. My love for dogs will never go away,” said Taki Saito, a college student. 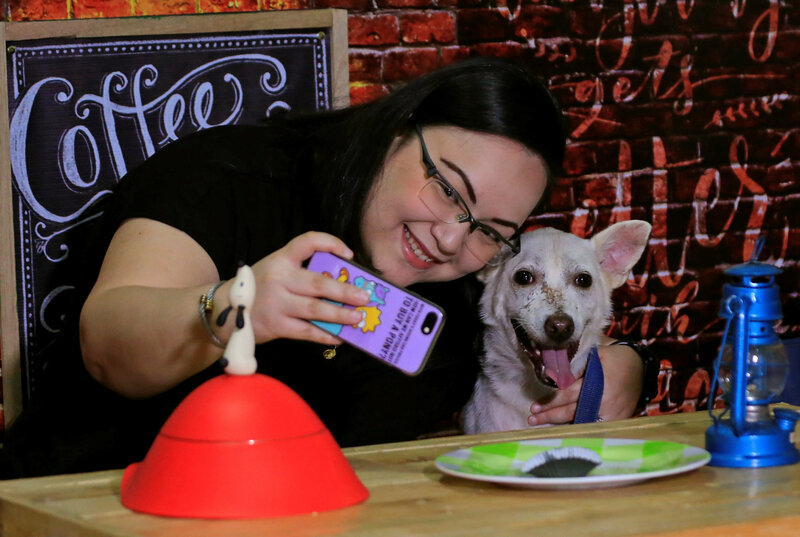 The activity aims to promote adoption and dispel the perception that shelter animals are dangerous and aggressive, said PAWS education officer Sharon Yap. 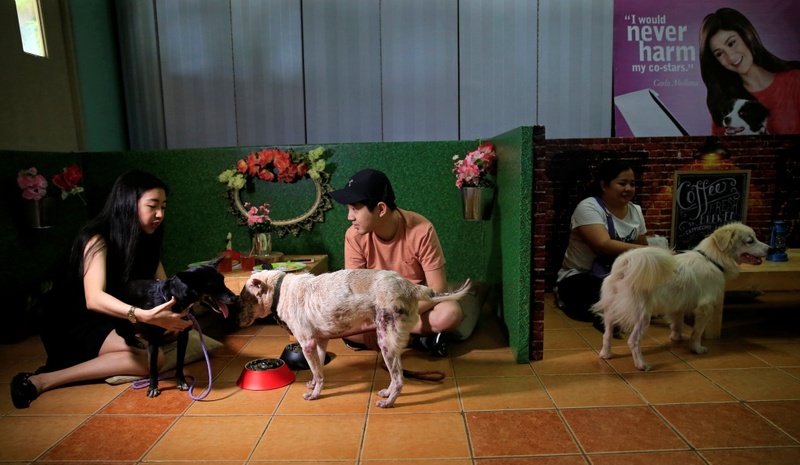 PAWS hopes to encourage Filipinos to adopt, rather than buy. 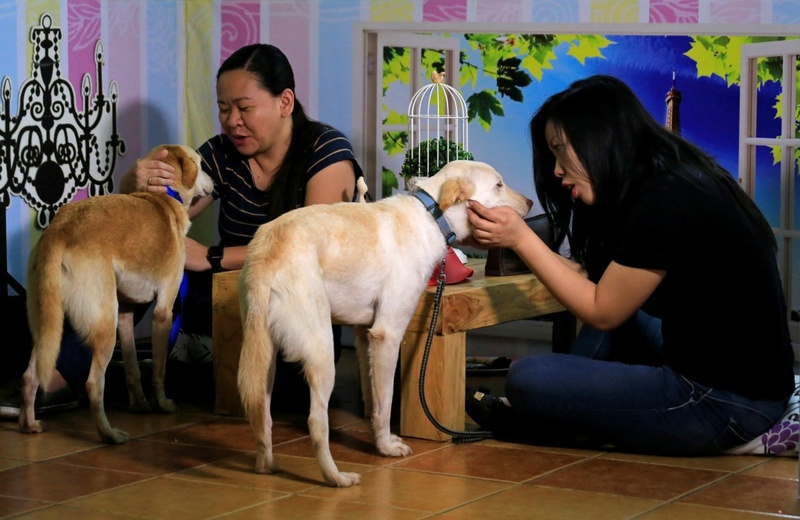 “Even stray dogs, stray animals that are considered as aggressive, with enough love and care, they can actually be rehabilitated into loving animals as well,” Yap said. The shelter looks after more than 70 dogs and 230 cats rescued from errant owners. Visitors can date the dogs until Feb. 17. In the lunar calendar, the Year of the Dog starts on Friday.